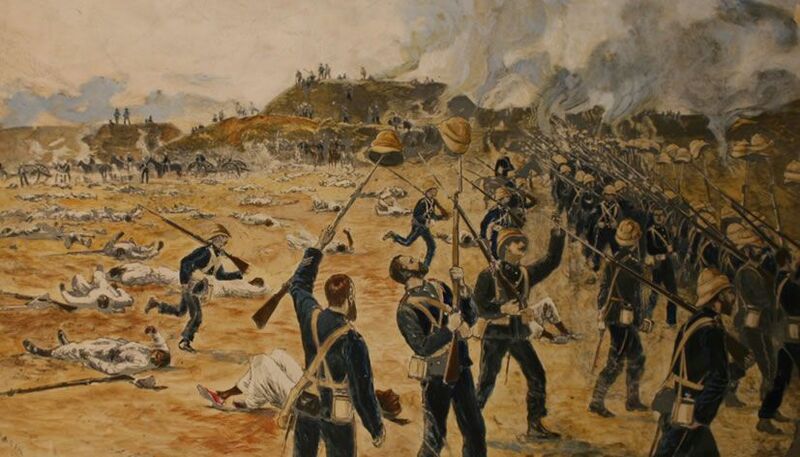 watercolour, Victory of the Royal Marines at Tel-el-Kebir, 13th September 1882 by Colonel Cyril Field Royal Marines from an original sketch by Field. This watercolour, Victory of the Royal Marines at Tel-el-Kebir, 13th September.. Art Print is created using state of the art, industry leading Digital printers. The result - a stunning reproduction at an affordable price. watercolour, Victory of the Royal Marines at Tel-el-Kebir, 13th September..